A successful intranet is one where everyone in the organization participates in creating and maintaining the published content. In the past it was common for a hospitals’ Information Technology department to be solely responsible for publishing updates to the content of the intranet site. The process was slow and cumbersome typically with departments identifying the necessary changes, developing change orders that are then forwarded to the IT department where a dedicated person would receive the change orders and eventually (at their convenience) update the intranet site. This process was loaded with problems. The changes would often be lost in translation where IT would make updates which the departments did not expect or were not exactly what the department needed which would require a cycle of change requests and updates by IT before the content was updated correctly. Often the IT department would sit on the change request so the content was not being updated in a timely fashion. Frequently departments would altogether give up on requests they deemed not important enough because of the tedious nature of the process. Today’s modern and successful intranets have done away with the middle man and encourage the departments and in essence all employees to maintain the content of the intranet in real-time. This concept often strikes fear for many who believe that the intranet will become a wild west of random content, out of control designs, colors and images as well as inappropriate or unapproved messages or information. These fears are mostly unfounded if a proper plan is established. A portal governance committee should be created with members consisting of representatives that are particularly heavy users of the intranet such as the Human Resources, Marketing/Public Relations and Laboratory departments. This governance group should be tasked first and foremost with developing a set of guidelines on how the hospital’s intranet should be maintained. The governance committee is responsible for determining a template of what a typical department’s intranet page(s) should look like in terms of what common content should appear and where/ how it should look. The governance committee’s other main responsibility is making decisions about the site’s appearance, navigation and any questions that come up after the intranet is up and running. With the proper plan in place it is quite rare for extensive policing to have to be done. In the rare instance where some content is not up to the organization’s standards the offending users are simply asked to make the proper adjustments as most intranet systems maintain audit trails and logging to identify who last updated certain content. The advantages of delegating content publishing throughout the organization simply cannot be overlooked. The content is always fresh and up to date which encourages everyone to use the intranet as the go-to resource for all information dissemination. When everyone embraces the intranet because the content is fresh; the intranet encourages a paperless environment thereby decreasing costs and streamlining internal processes. Hospitals cannot continue to have a “Webmaster” handle publishing content on the hospital’s intranet. At the very least the webmaster’s role should be much more different than what it was in the early 2000’s. Key employees should be able to edit and publish content on the intranet at will and as necessary. 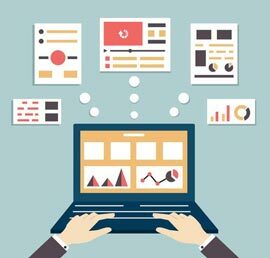 Webmasters should not be responsible for publishing content but instead should handle delegation of editing capabilities as well as monitoring of any general site wide feedback or comment forms as well as aid in assisting the super users with any questions or issues they may have publishing their data. at many hospitals. If your organization has not embraced the concept it is time to speak up!